Browse > Home / About Puinsai / Puinsai Tagged! 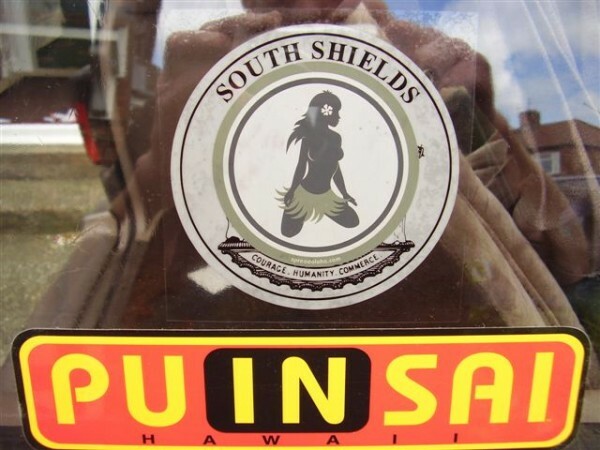 There is nothing better than receiving photos from our customers and friends that show how Puinsai is representin’ globally. 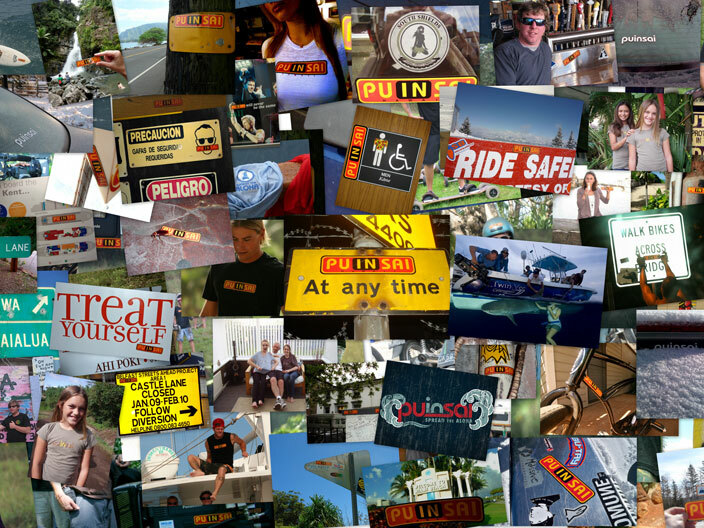 We’ve only had our full web site up since January of ’09 and we have received a lot of great photos. Please keep them coming! We are actually working slowly towards a full site re-design and we want to have a section just for these photos because they keep us motivated. Some of the photos make us laugh the same we laughed when we first started Puinsai back in 1994. 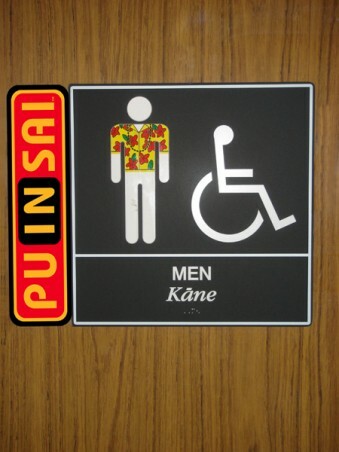 This is a brand that has a goal to spread the aloha globally but we also have a sense of humor. Our friend, Makoa just got back from touring Europe and he sent in some funny photos including the two above. Thanks Makoa! You know your in Hawaii when you go to the airport and the bathroom signs have dudes in Aloha shirts on them. Of course we also love when people send in photos of our future women’s pro surf team posing with their bodyguard. 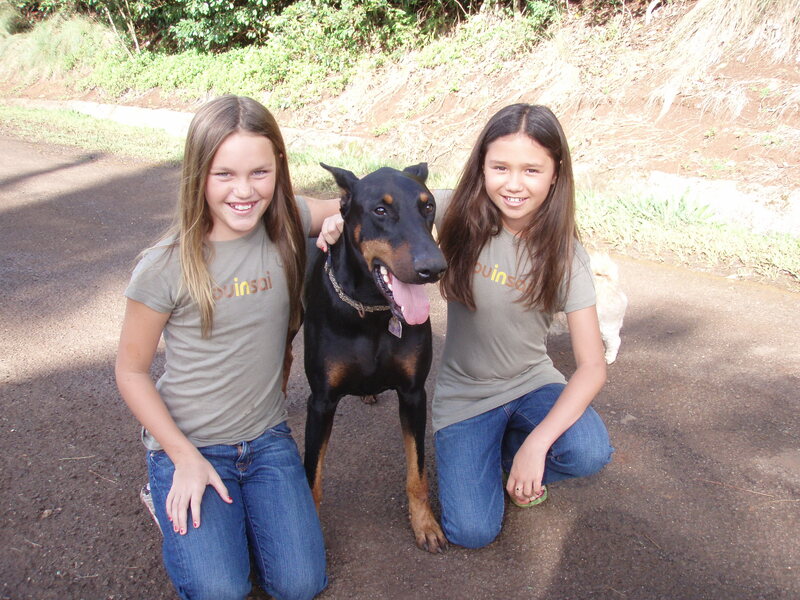 In this case, Emmalani, Czar (Body Guard), and Mokihana from Hanalei, Kauai. 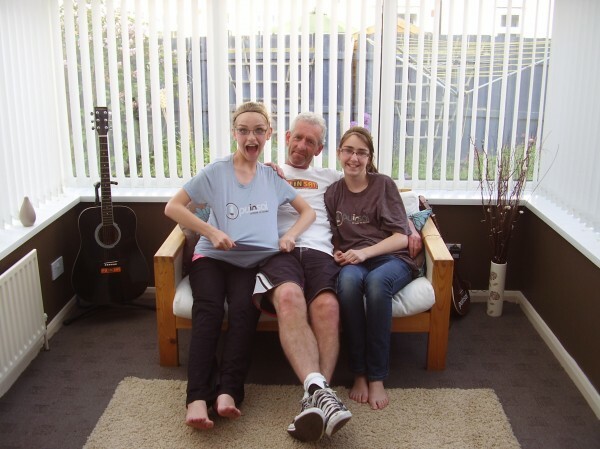 Puinsai is slowly building up steam globally and we recently shipped some tees to the Tim and his daughters in South Shields, England. Yes mate, they do surf in England. Please keep the images and the letters coming. We just created a section of our Flickr Page dedicated to submissions from our Ohana (Family) around the world. You can check out all of the photos featured here and many more by going to our Puinsai Flickr Page. bien, c’est trop cool !